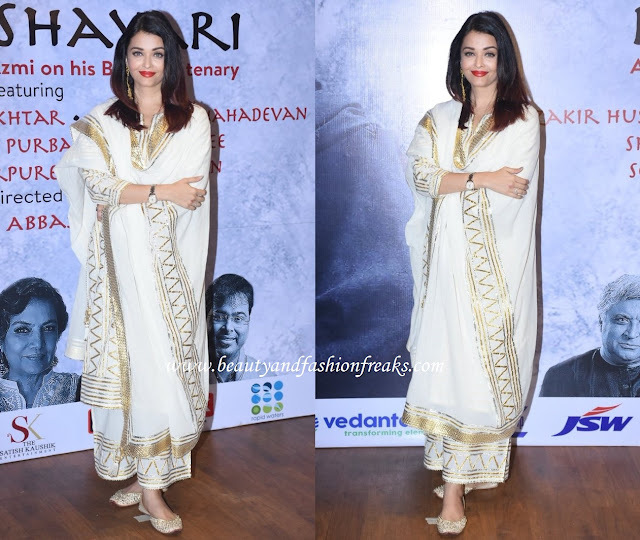 Aishwarya donned a Sukriti and Aakriti kurta and palazzo for attending the recently held Raag Shayari event. Red lips, a pair of white jootis and big earrings completed the look for her. There is no denying the actor looked awesome here!